Visit our very own part of history located in the Bierbower Home, situated in the hillside of our downtown historical district. A safe house, where slaves were once hidden beneath the floor boards for safety. Discover the owners of the remarkable home, the Bierbower family. 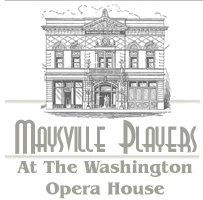 Descendants of German immigrants, who had left the abolitionist state of Pennsylvania in 1837 to settle in the slave-holding frontier lands of Kentucky in the busy river town of Maysville, where they became successful local entrepreneurs and international history makers. These friends of justice aided the fugitive slave, who had made the decision to lift the chains of oppression. The Bierbower sons fought in the Union Army as officers, one of which led the 124th Colored Infantry. 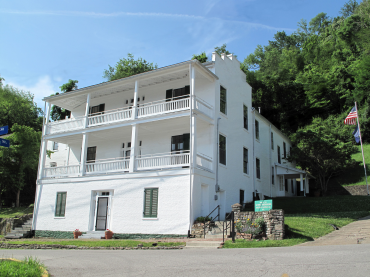 Retrace the footsteps of countless fleeing African slaves as you travel the countryside of Mason County Kentucky, one of Kentucky’s most notable historic routes to freedom along the path that became known as the Underground Railroad.